Rookie, Mohd Hafiz Nor Azman says he does not want to think about the CP115 title as the PETRONAS AAM Malaysian Cub Prix Championship heads to the Sepang South Circuit this weekend. Hafiz instead is determined to keep his mind on his own riding and put the title chase aside after leader, Ahmad Afif Amran (PETRONAS Yamaha-CKJ) blew up a 30-point lead with two more races remaining having won the Jempol round last month. At the moment, Afif leads the championship with 136 points while Hafiz trails from behind with 106 points followed by defending champion, Amirul Ariff Musa (Givi Honda Yuzy Pachie) in third overall with 105 points. At the same time, Hafiz does admit he is performing much better than he had anticipated after graduating the entry level WIRA class as overall champion last year. The 17-year old displayed a brilliant start to his intermediate class campaign to finish every round so far within top six with two second places in Batu Kawan and Teluk Intan, and two third places in Terengganu and Kluang. Only a 12th place finish at the Malacca race has blotted his copybook. “I am 30 points behind Afif and Amirul is just one point behind and they have a lot of experience. Keeping up with them will be an uphill battle especially at Sepang because both riders compete in the Asia Road Racing Championship so I will just go race by race and not think about the championship. 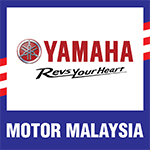 I just want to enjoy the remaining rounds,” said the PETRONAS Syntium Moto Yamaha AHM rider. “But for now, my aim is to sign off the season with two more podium finishes. Even if I don’t come out on top, I am content because we exceeded our initial targets to just finish among top five,” he added.